Is There Any “Should” in Tea? There are lots of tea blogs, lots of tea professionals advising on this and that about tea, Facebook groups about tea, tweeters on Twitter focused on tea, and more, and many of them talk about how you should do this with tea and that with tea. But is there any real “should” in tea? Well, yes and no. You definitely should not ditch whatever grocery-store bought teas you have and go spend hundreds on those rare teas that those experts rave about. For one thing, the cheaper teas can be a lifesaver when you need a quick cuppa just to keep going. For another, you can always use those teas for other things such as to help with puffy eyes or as cleaners around the house. You should also not rush to buy the latest trendy tea or something that celebrities like Lady Gaga are drinking unless you just like spending money on things that you most surely won’t like. Just because a celebrity likes something doesn’t mean you will, but it also doesn’t mean you won’t either. When you try a new tea for the first time, learn a little something about it so you will get some idea of what to expect in terms of taste and aroma, even though your experience may be vastly different from what the vendor describes. Follow the vendor’s infusing recommendations (and the vendor “should” supply this information to their customers). Taste the tea liquid (a good mouthful or two) after infusing and before adding milk, sweetener, lemon, honey, mint, etc. Often, you may prefer the tea as is and may even be surprised by this, especially if you are used to drinking teas with lots of flavorings added. This could lead you to explore more of the world of fine teas. General “shoulds” for teas include using the best water quality you have available, cleaning your teawares in-between uses, and taking your time. Water is the key ingredient in any tea and should never be distilled or sterilized water since it will infuse a flat-tasting liquid. The chlorine/chloramine in most municipal water systems in the U.S. also causes problems, affecting the taste and aroma of your tea. Clean teawares prevent one tea ending up tasting like the tea you steeped just before that. If the earlier tea was one of those flavored teas using something strong like cinnamon, your Ti Kuan Yin could end up with a cinnamony character. And as for time, even if you are having a tea that steeps in a very short time (some need only a few seconds), take your time to sip and savor and let a tea’s aftertaste take over. 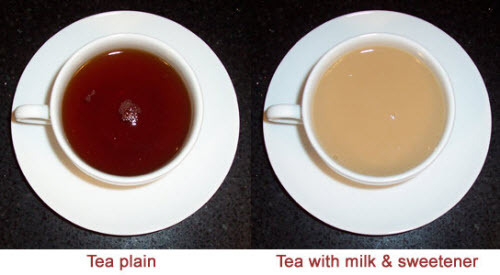 The biggest “should” is that you should get the most of out your tea. I know that earning the money to buy those teas can be rather strenuous these days. So, get the most for those tea dollars spent. 4 Top Tips for Getting Rid of Those Pesky Teacup Stains!